Finally uploading this layout - it has taken a few days to complete! 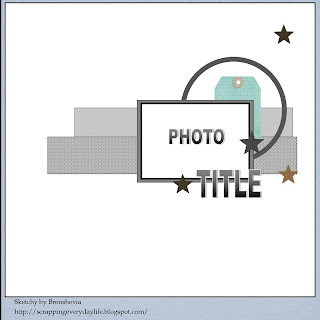 (Partly because I couldnt find the photos I wanted to use and had to do a nice big tidy up!) I was inspired by a few different challenges for this one, as well as by the amazing Ebony Van der Starre - I paid close attention to one of her tutorials over at 7 dots studios!! 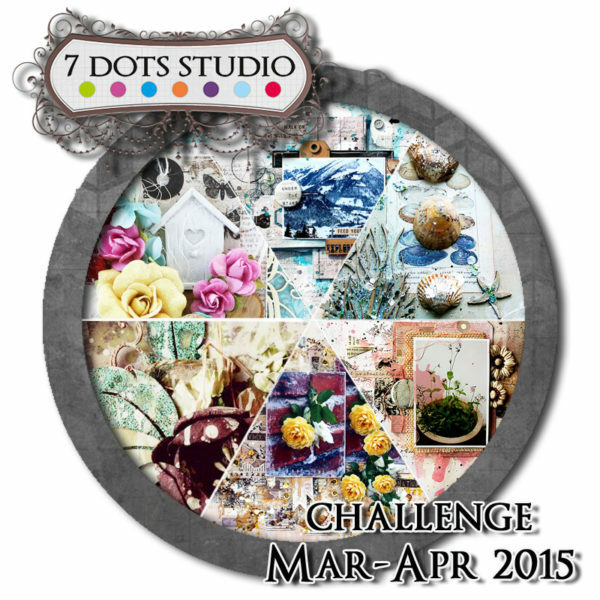 I started with the March challenge at 7 dots studios. Part of the challenge criteria was to use 7 dots studio products with a "nature" theme. Well I didnt need alot of prompting to begin using one of my absolute favourite paper lines "Destination unknown". I decided to combine the challenge with this months mood board over at Scrap around the world and use some pictures I had from a gorgeous white chalk and pebble beach in Denmark. They fit both the beach and nature themes. I mixed the sand and surf colour scheme with the deep turquoise in destination unknown and loved the result. 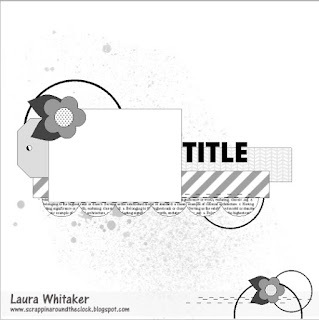 From 7 dots I used Destination unknown tags, words and die cuts as well as the line elements mask. I pretty much always start with a sketch to guide my placement of elements. I decided to make two layouts to sit in my album as a double. Such beautiful work, loving all the blue background work! So glad you joined us at Stuck?! Beautiful layout...love the embellishments...thanks for playing with us at LGS!! 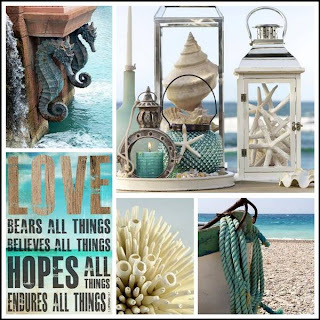 Love your beautiful beach theme layouts! Your work on the background is so pretty. Wow! Love all the details you have on your pages! Thank you for joining 7 Dots Studio and SATW challenges! Wonderful way to combine sketches. Thanks for playing at LGS. Wonderfully done, great take on the challenge, thanks so much for joining us at Lets Get Sketchy! Great layouts!!! i love colors and all ditails!! thank you for playing along with us at 7Dots Studio! Awesome double page layout! Great choice of stash items to complete the challenge! Thank you for linking up with Scrap Our Stash! Beautiful page!!! Such a great idea how you combined challenges and made it a double page! Thank you for joining us @LGS! Great idea to combine sketches ! Beautiful colors ! Thanks for playing along with us ! Beautiful page! love the background and embellishments, great take on the sketch. Thanks for joining our challenge at LGS. Love your take on the sketch and all the embellishments. Your colour is beautiful. Thanks for joining in at Let"s Get Sketchy. Such a gorgeous creation! Perfect double page project! Thanks for sharing with us at Scrap Around the World! Nice work on combining so many challenges. I love the idea of using two similar sketches to create a double page layout. Thanks for playing at Let's Get Sketchy. Gorgeous take on the sketch! Thanks for joining us @ LGS! Love you you turned the two sketches into a double-pager. Thanks for playing along with LGS! Awesome pages, love the backgrounds! Thank you so much for joining us at LGS and Stuck?! Lovely great take on the challenge....Thanks for playing with us at Let's Get Sketchy. Love the bright blues against the white. Such a beautiful combination of elements to create this 2 page spead. Well done! Thanks for joining us at Scrap our Stash!! Thanks for playing with us at SATW! Thanks for playing at LGS. Beutiful pages!! i love this blue and every details!! Thank you for playing along with us at 7Dots Studio! Thank you for joining us at Stuck?! Beautiful pages and colors! Beautiful double LO!! thanks for joining at 7 Dots Studio! Well done! Great job combining sketches into to two page layout. 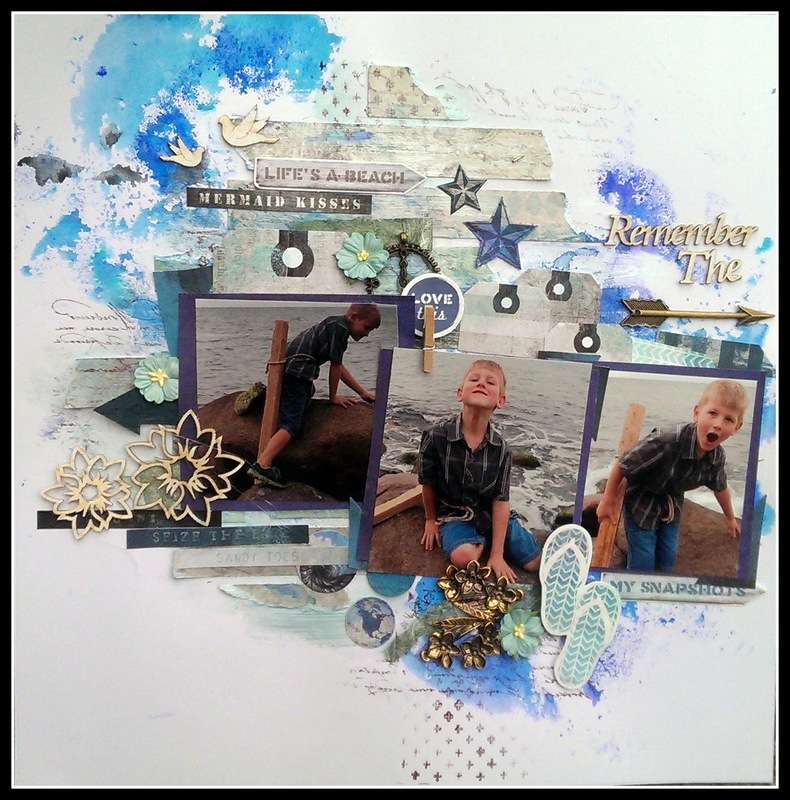 Nice embellishment choices for our challenge at Scrap Our Stash---thanks for joining us! 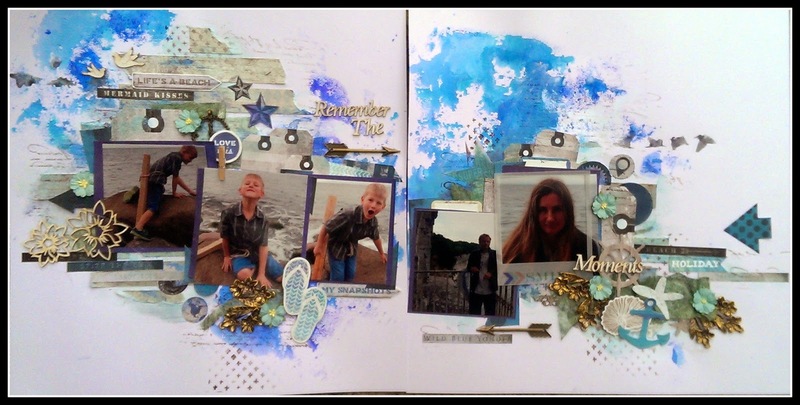 Beautiful page !Thank You for joining us at 7 Dots Studio challenge this month ! Gorgeous double-page! Thanks for playing along with us at Scrap Our Stash! 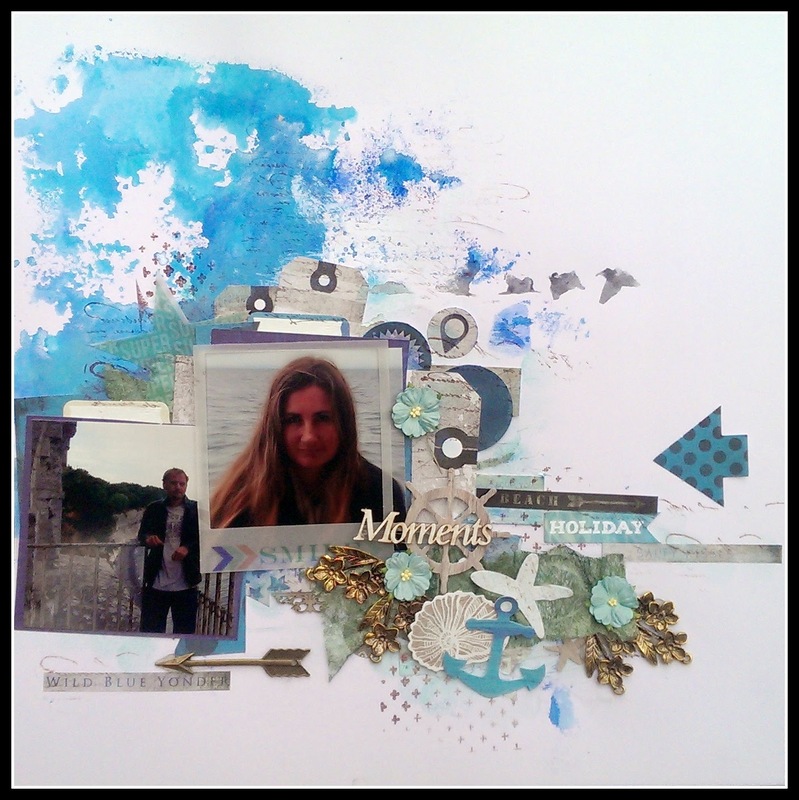 Beautiful layouts.....Fabulous way to combine two sketches to make one fantastic double layout! Thanks for playing along with Stuck?! Very nice! Absolutely LOVE all of the elements on your two pages! Thanks for playing with SOS! Great job! Beautiful pages!! Thank you for joining us at LGS!! Awesome two pager. I love everything on this layout. Thank you for joining us at Scrap Our Stash. WOW! Awesome!! Thanks for playing along with us over at Stuck?! Sketches!